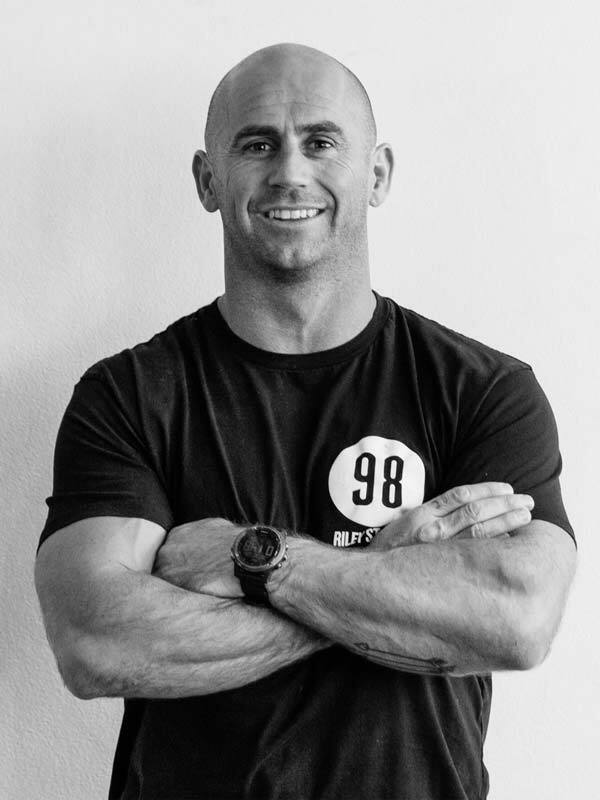 Andy Ginn is an Australian renowned personal trainer, coach, and athlete with over 15 years in the health and fitness industry. He started his professional career playing international rugby in the UK, before returning to Australia to share and build his knowledge, and transfer his skills to the sport of Crossfit. Through continuous education, Andy has earned his reputation as one of the nations best coaches. Currently operating his own business out of 98 Riley St Gym, he not only trains and works with Australia’s top athletes, but creates strength and conditioning programs for other top personal trainers, refining their technique and setting the benchmark for training. As a result of his competitive background, Andy also specialises in Olympic lifting and gymnastics, whilst also incorporating rehab and mobility into his clients training programs. His open minded approach to the fitness industry, authenticity, contagious energy, and personal motto “never a bad day”, all compliment his brutal workouts to create balanced programs that keep his clients coming back and will ensure his continued success.